Yesterday, Charles and Marie’s Soupe du Jour, 24 hr. product offering was a note card that looked all too familiar. An embossed, heavyweight card stock, the card is imprinted with the blank spaces of an LED screen. The sender need only use a ball point pen to fill-in the dashes to reveal the message of their choice. 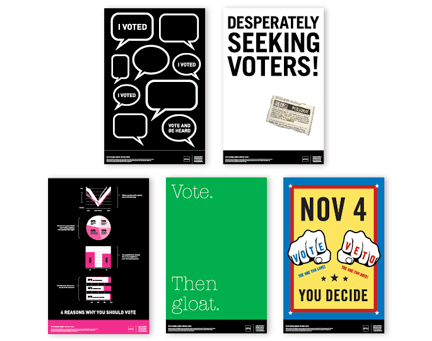 At $5 each, they are a very clever multi-purpose card to have around. 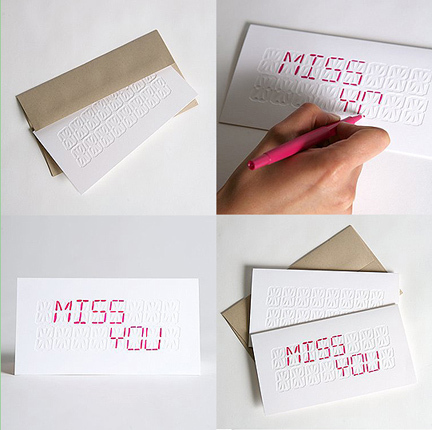 It certainly reminded of MSLK’s own Love Letters customizable note cards. At $8 for a set of 5 cards, MSLK’s word find seems to be just as customizable and perhaps a better value. With several hidden messages including Thank You, Happy Birthday, I Love You, Get Well Soon, Thinking of You, Spread the Love, Spread the Word, Oy Vey, etc. MSLK’s Love Letter cards are a fun way to make sure you aren’t caught empty-handed when that special occasion catches you unexpectedly. As for the LED cards, I wish we’d thought of them. They’d be a great addition to our product line, but for now I’ll tally them up as great inspiration and proof that customizable cards are a great idea.